The towers of la Hougue and Tatihou: splendid examples of Vauban architecture. One is continental, the other is built on an island; the towers of la Hougue and Tatihou are two stone sentries, built by Sébastien le Prestre de Vauban, the architect of Louis XIV. Listed “World Heritage” by UNESCO in July 2008, the two towers and the whole Vauban fortifications were built to protect the harbour, which Vauban himself described as “the safest in the entire kingdom”. Reach Tatihou aboard an amphibious boat! From the quay of Saint-Vaast embark on this strange vehicle: an amphibious boat! Tatihou can be reached on foot at low tide, but this boat sails to the island at high tide... and runs on the sand at low tide. On foot or aboard the boat, you will see the oyster beds at low tide. Seafood of the Val de Saire is much sought after. Mussels from Barfleur grow in pure and rich waters, which give them an incomparable taste. Saint-Vaast Oysters are well known for their subtle nutty flavour and have always delighted gourmets! A must for gourmets! 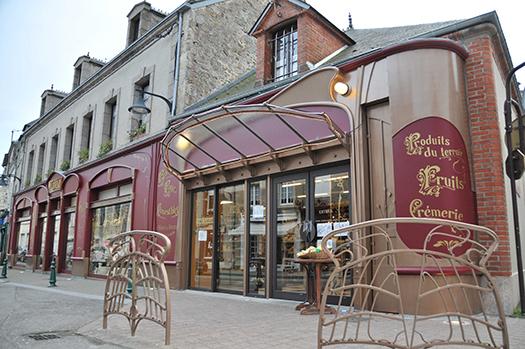 This delicatessen is famous for the variety and quality of its products. This is where to stop for a gourmet break! And for music lovers, don’t miss the festival “les traversées de Tatihou”!